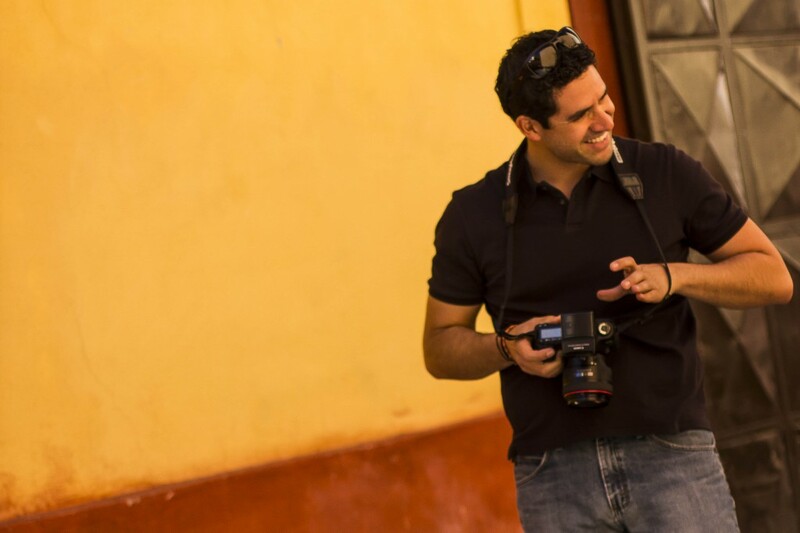 I’m Juan Luis, wedding photographer, thank you for passing by the website. I remember that since I was a child I always had the curiosity of the cameras, but it was not until 2003 that I had the first and since then it has become a way of life for me. Spending such intimate moments, capturing the naturalness of things and being part of the stories is my way of life. Most of the couples with whom I become an accomplice are very much in love. Since they know they knew they would end up together, which fills me with happiness to give the best of me. I am a very smiling person, patient and calm, but not when it comes to being at your wedding, that’s where all the training of the week is noticed and I walk with a stealth and caution making the camera and my heart allow me to interpret your story in the best way. You can visit the blog to check some of the last things I’ve been doing. Lover of nature, the stars and life in the countryside. Again, I thank you for taking a little bit of your time to get to know me and be part of my crazy things, a big hug! Soy Juan Luis, Fotógrafo de bodas, gracias por pasar a ver mis fotos. Recuerdo que desde pequeño siempre tuve la curiosidad de las cámaras, pero no fue hasta el 2003 que tuve la primera y desde entonces se ha vuelto un estilo de vida para mi. El pasar momentos tan íntimos, el capturar la naturalidad de las cosas y ser parte de las historias es mi forma de vida. La mayoría de las parejas con las que me vuelvo cómplice son muy enamoradas y se les nota a leguas, desde que se conocen sabían que iban a terminar juntos, cosa que me llena de felicidad para dar lo mejor de mi. Soy una persona muy alegre, paciente y tranquila, pero no cuando se trata de estar en tu boda, ahí es donde toda la preparación de la semana se nota y ando con un sigilo y cautela haciendo que la cámara y mi corazón me permitan interpretar tu historia de la mejor manera. Visita el blog para que cheques algo de lo último que he estado haciendo! Amante de la naturaleza, las estrellas y la vida en el campo. De nuevo te doy las gracias por tomarte un poquito de tu tiempo para conocerme y ser parte de mis locuras, un fuerte abrazo!